This is a big day at Sam Houston State University... and it’s certainly a big day for me! This institution was founded in 1879 – 132 years ago... and it is my great honor to serve as only its 13th president... And, as far as I’m concerned, that’s a “Lucky 13”! We like to say that at Sam Houston, “you can dream and succeed”... Well, this day proves that for me! I follow in the steps of wonderful leaders such as Bowers, Loman, Marks and most recently Dr. James Gaertner... Big shoes to fill... but I will and have had a great deal of help in filling them. This stage is filled with people... with friends and colleagues... who have been very supportive of me - who have been champions - since I began here at SHSU in April 2009 as the Vice President for Finance and Operations... Their support which I value so deeply has continued through my transition to the presidency. I have said many times over these past months how blessed I feel to be in my current role. Everything about Sam Houston - the type of university we are and the path we are on... the types of student we serve – where so many are “first-in-family” to attend a university... Considered together, it all meshes so well with my own passion, philosophy and experiences, that I am amazed at this convergence. personally... Critical when you are faced, as we all are, with tough decisions. Brenda Floyd – from whom I learned the nuts and bolts of being a business officer. Ann Stuart – who helped me understand the intricacies of working with a Board. Bob Litchard – who helped me to really “get” fund raising... and believe me, as a University President, you had better “get” fundraising! Jim Shore – who reinforced the need for strength and calm (equally important) in leading through difficult times. Gerald Turner – who is a living demonstration that strategic leaders stay focused on the goaland accomplish the day-to-day. Ann Hasselmo – whose leadership counsel helped me through a very difficult time. And, last but not least, Jim Gaertner – Whose wise counsel helped me to realize, most importantly, that doing what you love allows you to accomplish more than you ever thought possible. Professional accomplishments are made possible by the personal support mechanisms each of us have in place – there are many friends in this room today whose love and support have been vital... and as the advertisement states “it’s priceless” beyond any words. And, of course, my parents have always been there through each triumph and failure - to celebrate with me or pick me up and push me along the pathway... To them I owe everything. And at the core of who and what I am is my faith in God, who makes all things possible and who I ask for strength and guidance daily... As my mom has said more times than I can count, we are all part of a larger plan... It is my firm belief that a bigger plan enabled me to be here today. The daily support of the Chancellor and Regents make me feel even more honored to serve... And so I hope it is clear that really all of you had a hand in my assuming the position of President of Sam Houston State University. I suspect many of you came today to learn a little more about the person leading your university... fair enough. I embrace the idea of continuous learning, so I try to pick up something new every day... It’s pretty easy to do at a place like this! I find it important to target some activity to keep fit – especially now. As a University President, you find yourself going to lots luncheons and dinners, as many of you have heard me say, I now eat for a living! And, I am just old-fashioned enough to believe that working in education is a calling and not just a business. Therein lies the theme of the next section of my talk today. Clay Christensen, Professor of Management at the Harvard Business School, has applied his research in disruptive theory to higher education... The result is a similarity to industries that entered a highly competitive era, when the industry either went through innovation, proactively addressing the need to change... or it only reacted, and inevitably declined. The for-profit sector of higher education has outgrown the rest of higher education by three-fold in the last ten years... With that for-profit growth has come a recognition or acceptance that it is just another educational model... just like we have public and private non-profit universities. But I can tell you, as an ongoing student of higher education in this country, that in most of what you read about the for-profits, they talk about their marketing, their admissions and financial aid processes, their flexibility in serving the 25- to 45-year-olds who now make up 70% of the higher education marketplace. What they don’t trumpet, though, is the quality of the education provided... In a recent Chronicle of Higher Education article on efforts by the University of Phoenix to be more student-oriented, the article never discussed the educational environment or academic programs – interesting. While we would like to think that the for-profit sector success is just due to a growth in online learning (now at almost 20% annually), the reality is that the University of Phoenix – as one example -- has onsite locations within 10 miles of 90 million adult learners... Like I said, a big fact of life. But just to maintain the current competitiveness of the United States in the world economy, the Lumina Foundation estimates we will need to produce 23 million more college graduates in the next 15 years. To assume or expect that traditional bricks and mortar education is the only way to accomplish this goal is shortsighted... Facts accumulated by the Sloan Consortium survey of online learning demonstrate the growth of online courses: 30% of students in the survey reported they took at least one online course... and online enrollments at all U.S. colleges and universities – for-profit and non-profit -- grew 21% compared to 2% growth in the overall student population so for fall 2009 university enrollments without online education decreased. But the important point is that it’s not “either/or” in terms of online vs. a onsite education... It is “both/and”... and, more importantly, it’s about the quality, the true rigor of the academic experience for the student, whether that comes online or in a classroom. Therefore, we must be more thoughtful and systematic in documenting our performance in order to secure our support from all sources – public and private. Additionally, I would emphasize that while we must respond to market realities and stay focused, disciplined and prepared to clarify the goals and metrics associated with success, these changes do not and cannot affect the fundamental nature of universities. and the need to improve our ability to demonstrate the numeric successes of our educational and administrative outcomes. 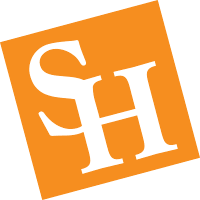 Being a fully participating student at Sam Houston State gives you something that just the numbers cannot demonstrate... As we say, when you come to Sam Houston, you can feel it! That’s a big job and it takes all of us on the faculty and staff of a university to do it... And there are things about it that simply defy statistics... If it were all about numbers, frankly I doubt we would spend our lives doing this... Thankfully, that is not the case. Sam Houston State University will continue its path of service for the citizens of Texas, the nation and the globe – maybe with a broader definition of our student population as we move forward. We will continue to do this in an effective and efficient manner, fully documenting our outcomes to demonstrate our success and the value of the educational experience here at this university. I pledge that we will continue with a passion for the educational process... and an ongoing commitment to the discovery of knowledge and engagement with the students we serve. It is my greatest privilege to serve as its 13th president.